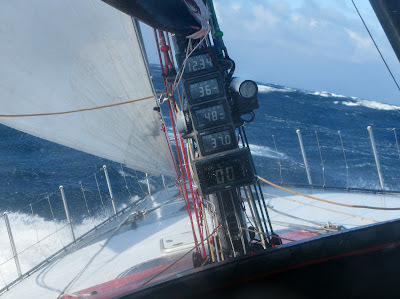 Team Delta Lloyd ripped the leach of the mainsail in 40 knots of wind and 5 meter high waves. 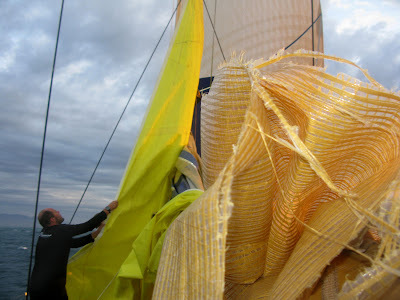 They had to put up a storm jib and a trysail, while surging for a bay to do the repairs on the main. he got his finger trapped in a titanium block. 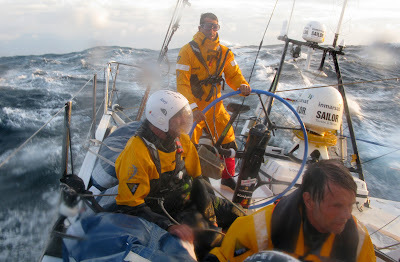 The Dragon maybe wounded but they are determined to sail across the finish line in Qingdao. 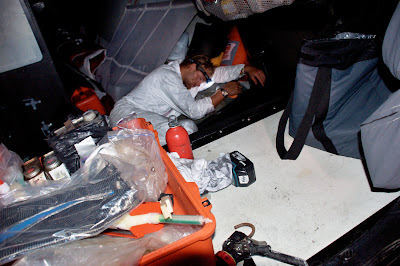 The pit stop in the Philippines allowed the crew to work around the clock to repair the damaged bow section. 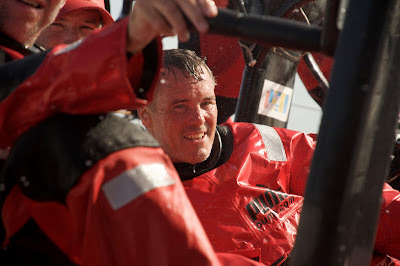 But after several hours of racing the Dragon has sustained further damage around the repaired bulkhead. Skipper Ian Walker reported last night, “We were inspecting the bow repair at the time and while the repair held firm the bulkhead let go either side of it. Since then I have been agonising over how best to proceed. 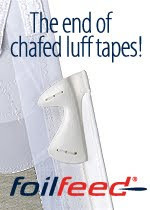 Do we go to Hong Kong, Xiamen or even Shanghai to make repairs? Do we go back to Subic Bay? Is it safe to cross the Straits in the current weather? Should we soldier on slowly and nurse the boat to Qingdao - maybe even get there without retiring and using the engine? Right now we are doing just that but more damage could rapidly change things”. The crew will continue to assess the situation and are at present still carrying on, albeit gingerly. 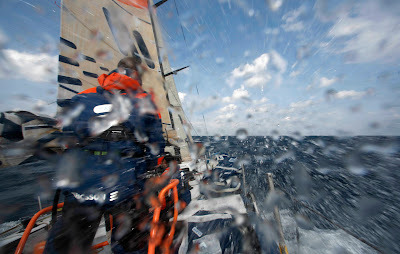 This leg is far from over for the Dragon, the crew remain 100% focused on getting to Qingdao, “There is nothing we want more right now than to sail into Qingdao however long it takes us”. Latest updates from onboard suggest that the crew and boat are well and sailing at 90% capacity.